RESYSTA has the warmth and feel of wood, yet it possesses the sustainability and wearability natural wood lacks. RESYSTA is an excellent material choice in a number of construction applications. Not only does it offer the look and feel of wood, it has many similar working properties of wood. RESYSTA is water and UV resistant, making it perfect for any exterior application, even in locations subject to driving rain, snow, frost and constant sun exposure. Achieve the rich look of wood siding without the environmental impact. RESYSTA is the perfect choice for full siding or as a design detail. It is available in a variety of profiles and can achieve looks ranging from colonial to contemporary. It can also be shaped, cut and curved for maximum design flexibility. RESYSTAS’s proprietary material blend makes it durable for use in the most extreme environments. It also has the highest possible rating against fungal decay, making it perfect for areas prone to excessive moisture. Premium Bamboo products - It does not get any greener! 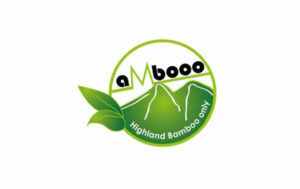 The manufacturing of aMbooo products is realised exclusively by using bamboo culms from sustainably managed bamboo forests. Resysta North America participated in the building of the New American Home 2013 and here are some of the photos where Resysta being used!